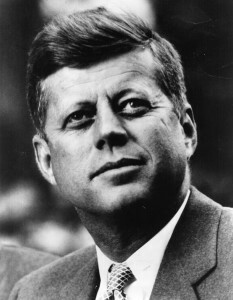 John F. Kennedy: The Peace President? A great deal has been written and spoken about the 35th President of the United States, John F. Kennedy, who was assassinated over 50 years ago in November of 1963. While nobody who was sentient at the time is likely to misremember Kennedy’s assassination – or the funeral that followed it, or the killing of his assassin on national television – recollections of Kennedy’s presidency are not so pure. Human memory is imperfect in many ways. At best, it is selective. Much worse, memory is prey to numerous biases, errors and distortions. In Shakespeare’s Julius Caesar, Mark Antony said at Caesar’s funeral, “The evil that men do lives after them; the good is oft interred with their bones.” One wonders whether the opposite is true in Kennedy’s case. 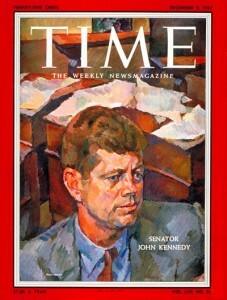 People are generally aware of both good and bad aspects of the Kennedy years, but memory of the good seems to win out. 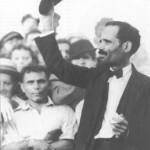 On the positive side are his charismatic persona, inspirational rhetoric and ambitious agendas. The negatives include philandering, passivity on some crucial issues and deception about his health. All of these and numerous other aspects of his administration are debated endlessly. But there is one aspect of JFK’s presidency that has received too little attention. Kennedy felt that the Limited Test Ban Treaty with the Soviet Union, signed in August and ratified in September of 1963 outlawing nuclear tests in the atmosphere, was one of the most far-reaching accomplishments of his administration. 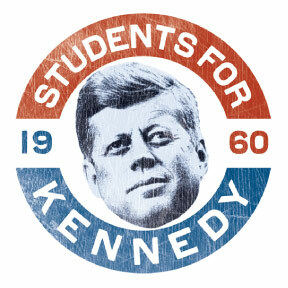 In a commencement address at American University in June of that summer, sometimes called the “Strategy of Peace” speech, Kennedy outlined the possibility of a completely new relationship with Russians, moving beyond the Cold War and its tensions and standoffs. That speech and the test ban treaty were part of his evolving reexamination of super power relations. As a result, the word “détente” entered the American political vocabulary during the last weeks of the Kennedy administration, although it did not become widely used until the Nixon and Ford eras in the 1970s. Kennedy’s initiatives suggested what was possible for other willing presidents to achieve by way of reducing tensions with our Communist adversaries. 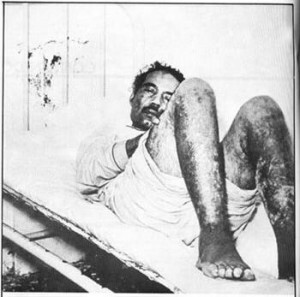 But Kennedy was no pacifist. He would have fully endorsed the Ronald Reagan/George H. W. Bush mantra that “peace through strength works.” But he was committed to building what would later be called a “new world order.” In his last months he consulted with Russian diplomats about joint ventures in space. He also came to believe that further American involvement in Viet Nam would never sustain the South Vietnamese regime. He announced the redeployment of 1,000 military advisers from that country. Although the question is one of those persistent unknowns, it seems most probable that the full-scale American war in Viet Nam would not have happened in a second Kennedy term. More generally, it seems safe to imagine that the world would have been very different had Kennedy not been assassinated. His intelligence and what psychologists call “openness,” that is, curiosity and broad interest in ideas and feelings, enabled him to grow and become ever more realistically flexible. These are personal qualities that almost always serve leaders well. In the decade after Kennedy’s assassination, some held that within a generation JFK largely would be forgotten, remembered, if at all, as a young and promising president who served for a short time with mixed results. It was foreseen by few then that he would capture the country’s attention with unprecedented focus in the year 2013. But memory, both individual and collective, works in unpredictable ways. Images of Kennedy are pervasive and forever forged in our memories. We hear his voice, see him smile, listen to his banter with reporters and his speeches and comments on matters both large and small. After five decades, it may be time to organize our own recollections and what we have learned as we grasp an unforgettable American original. On the surface the 7th President of the United States seems ready made for the mantle of hero. He was born into poverty from Irish immigrant parents in 1767, fought briefly in the American Revolution, studied law and became the prosecuting attorney for western North Carolina, elected to the House of Representatives in 1796, and later the Senate the very next year in 1797. He even served in the state supreme court. He rose to fame during the War of 1812 when he soundly defeated the British at the Battle of New Orleans using a remarkably egalitarian force of slaves, Haitians, Choctaw, French pirates, Canary Islanders, and frontiersmen. The press declared him a hero and dubbed him “Old Hickory”. 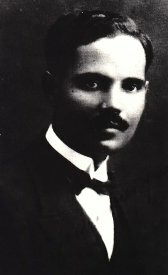 He went on to serve as Governor of the newly acquired Territory of Florida. He ran for President in 1824, winning the popular vote but losing the Electoral College. He ran again in 1828 and won and 4 years later won reelection. Andrew Jackson seemed to live a life that, had it been the product of some work of fiction, would seem almost too much to believe. Certainly a hero. There was another side to Andrew Jackson. He was a man who engaged in duels, killing Charles Dickinson in 1806. During in the First Seminole War he inflicted harsh discipline on his troops, including executions for mutiny. The necessity of some were questioned. Later he would capture two British subjects, Robert Ambrister and Alexander Arbuthnot, and believing them to be agents sent to supply the Seminoles Jackson had them tried and executed. The questionable aspects of the Arbuthnot-Ambrister Incident, which included the invasion of Spanish Territory, would see Jackson investigated by Congress. While Congress would find “fault” with Jackson’s handling of the trial and execution, they would not take any action against Jackson. And as President Jackson would oversee one of the more shameful moments in American history. In 1830 he signed the Indian Removal Act which called for the forcible removal of Native Americans from their lands. The Cherokee Nation would actually take their fight to the Federal Court in an attempt keep their lands and in Worcester v Georgia The Supreme Court ruled against the relocation. Of the ruling Jackson would reputedly say “John Marshall (the chief justice at the time) has made his decision; now let him enforce it!”. 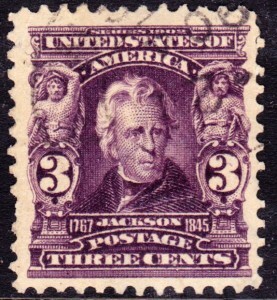 There’s been dispute on whether Jackson in fact uttered those words, but unfortunately they did seem to sum up his attitude. 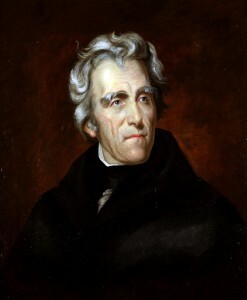 While the Cherokee would not be removed till the Van Buren Administration, the Choctaw, Seminoles, and Creek would see removal under Jackson’s watch. But none of this seems to have affected Jackson’s popularity, which only increased. After his death his image would appear on no less than 13 postage stamps, have numerous memorials, counties, and cities named after him, his image is on the $20 bill and has been on numerous other denominations over the years. In a 2009 C-SPAN Survey of Presidential Leadership, historians placed him at 13th. 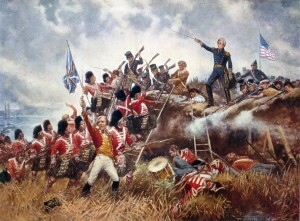 So was Andrew Jackson a hero for his leadership during his Presidency? A villain for his actions? Both? Neither? This is why the notion of what is a “hero” is so nebulous. Public and historic consensus focused on his actions in the War of 1812, or his handling of the Nullification Crisis, or simply his stellar political career. The darker aspects of his persona are ignored or excused. Jackson certainly wouldn’t be a hero to Native Americans, or the British, or the Spanish. To this day we face these questions when declaring heroes. Do the person’s admirable qualities outweigh the frailty of the human condition? Who decides? The author, Jesse Schultz, routinely has a few $20 bills in his back pocket which he happily sits on. In the introductory chapter of our book Heroes, we discuss American actress Meryl Streep and former British Prime Minister Margaret Thatcher on consecutive pages. We make the point that both women well illustrate the point that heroism is in the eye of the beholder. Streep is not a hero to Americans as a whole, but she is to most people in the film business. Hardly anyone would regard her as a villain. On the other hand, most of the British public, and many Americans, have opinions about Thatcher, with different people regarding her as either a hero or a villain. The two were recently paired in a movie that few will ever forget. 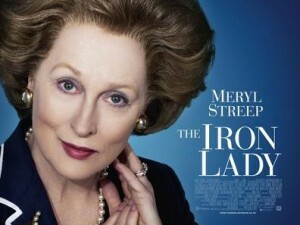 In the movie The Iron Lady, Streep portrays Thatcher in what we consider one of the best acting performances in years. 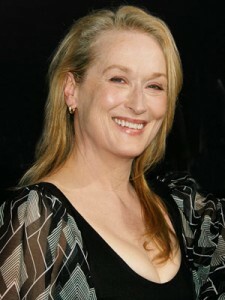 Streep has been nominated for almost two-dozen Oscars as either Best Actress or Best Supporting Actress. Before this year, she had won twice, for Sophie’s Choice in 1983 and Kramer vs. Kramer in 1980. And in The Iron Lady, Streep hoisted the hardware again in her role as Margaret Thatcher. Streep’s performance is doubly impressive compared to the usual biopic. 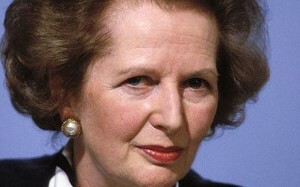 She plays Thatcher both in her current semi-demented state, and in her prime as the longest serving British Prime Minister of the 20th century. Thatcher was not loved by all. Her most dramatic leadership came twenty years ago during the brief war over the Falklands Islands in the South Atlantic Ocean. The islands are just off the coast of Argentina, and that country had long held that they, called Malvinas by the Argentines, rightfully belonged to Argentina and only British imperialism made them English. In 1982 Argentina invaded and captured the lightly defended islands. Under Thatcher’s leadership, Great Britain launched a major – and very expensive – military counterattack thousands of miles away from the home country. British forces made short work of it, quickly regaining the Falklands. In doing so, they sank an Argentine destroyer killing hundreds of sailors. Many people, in and out of England, questioned the value of the Falklands and severely criticized Thatcher for spending so much money and wasting so many lives in order to recapture the sparsely populated islands. For Thatcher, the principles of national sovereignty and self-defense unequivocally dictated the islands’ retaking. She became both a hero and a villain, depending on whose eyes were beholding. Meryl Streep acts wonderfully throughout The Iron Lady, and shows Thatcher’s steely determination best of all, perhaps, in the Falklands scenes. The film is fascinating, and presents two possible heroes for our consideration. It is well-worth watching. Below Meryl Streep talks about her portrayal of former Prime Minister Margaret Thatcher in the film The Iron Lady. Oops! We had to remove the hero profile you’re looking for because it has just appeared in our new book Heroic Leadership: An Influence Taxonomy of 100 Exceptional Individuals, published by Routledge in 2013. In the mean time, please accept our apologies. Here is more information about our two HEROES books.